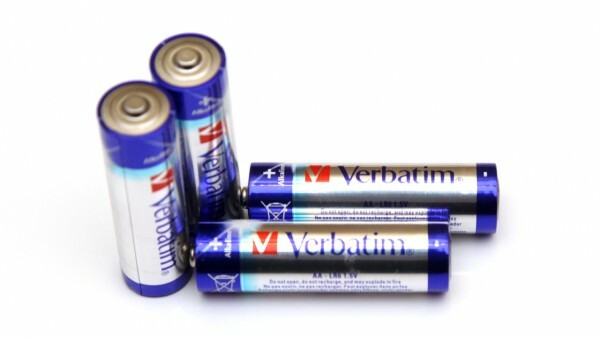 The 1.5V AA Verbatim Premium Alkaline batteries are the only standard AA size Alkaline batteries offered by Verbatim, even though they are labeled as Premium there is no regular version available. The expiration date on the batteries we’ve tested was 06-2017 and even though we could not find a shelf live cited, we can safely assume something like 5 years for these batteries. We have started the test of the 1.5V AA Verbatim Premium Alkaline batteries as we normally do with a low constant current discharge rate of 0.1A and the result we got was 2166 mAh as capacity – a good result for low load applications, though far from the best ones we’ve seen from AA size. Increasing the load ot 0.2A we still get a decent performance, but going higher than that at 0.5A and 1.0A we can see that these batteries are not performing that well, meaning they are not the wisest choice for high load applications.